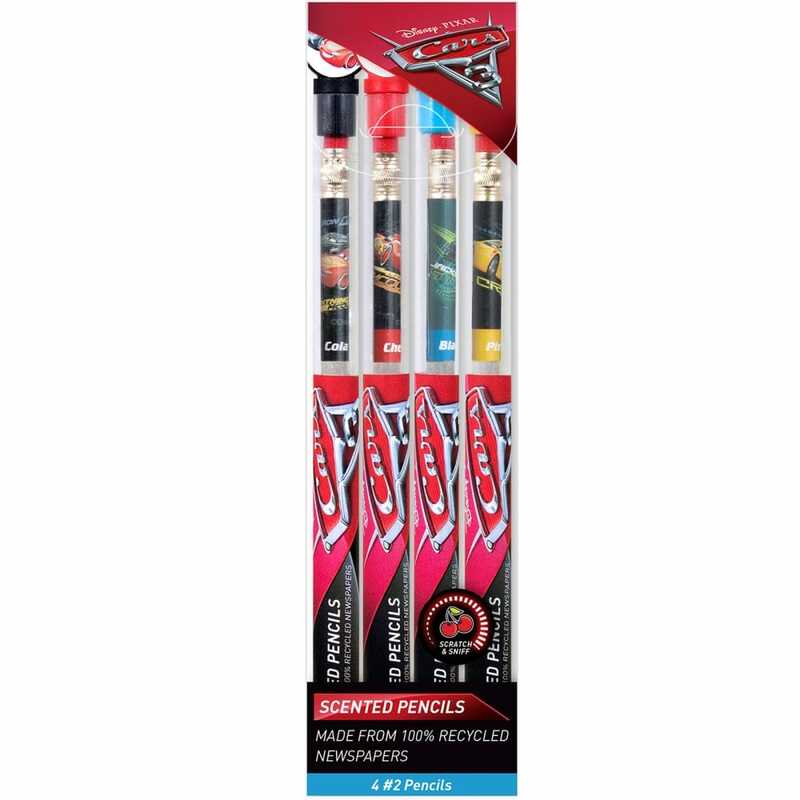 Disney Pixar Cars 3 Smencils are the gourmet of scented pencils that are made from 100% recycled newspapers, each pencil is packaged in its own recyclable plastic freshness tube. 4 Pack of HB pencils, blackberry, cherry, cola and pineapple. A bit about the brand: Scented coloured pencils made from 100% recycled news paper.